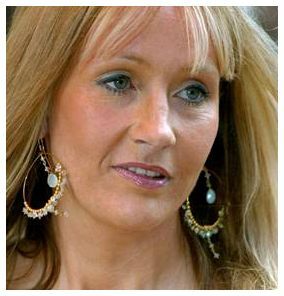 J. K. Rowling, author of the Harry Potter series, has repeatedly hinted that Potter will die in the final book of the series. I have an idea that killing off Potter will be as successful as Arthur Conan Doyle’s attempt to kill off his main man, Sherlock Holmes. Doyle’s attempted assasination of Holmes raised such a ruckus that he had to resurrect him and I bet that Rowling will get the same reaction if she tries to kill off Potter. A village in the Italian Alps is finally basking in winter sunlight thanks to a giant mirror installed on a mountain top to reflect the suns rays into the main square. Viganella, with a population of less than 200, lies in a valley so steep that each year from November 11 to February 2 it hardly receives any sunshine. That was until Mayor Pierfranco Midali decided to do something about it. Now a five-metre high, eight-metre wide mirror tracks the suns movement and reflects its rays into Viganellas historic piazza. The mirror, which cost around 100,000 euros $167,400, was unveiled yesterday to the delight of the villages residents. A Birmingham great-grandfather is still playing Santa after 54 years – despite 17 heart attacks, two strokes, cancer and kidney failure. Dan Jones, 78, has beaten ill health to perform the role every year because children enjoy it so much, reports the Sun. Police in Canada were called after a rowdy gang of 100 tipsy Santas caused mayhem in a shopping centre. Mounties were called to a disturbance at the Metrotown Mal, near Vancouver, and found the Santas carrying a gasoline container full of ‘a pungent mix of holiday cheer’. “The Santas were relieved of their cocktails and sent on their way without incident,” a police spokesman told CBC. A skydiver who fell 15,000ft when his parachute failed to open survived – thanks to a blackberry bush. Michael Holmes, 25, who fell at a speed of 100mph says the thick brambles saved his life. Speaking to the Sun, he said: “I cant wait to jump again. This won’t put me off.” Michael, from Jersey, added: “It was a normal jump until I tried to release my parachute at 4,000ft. It didn’t open and it didn’t cut away. When my reserve failed to open at 1,000ft I thought my life was over. Michael escaped with a punctured lung and broken ankle in the plunge at Taupo on New Zealand’s North Island. He is recovering in hospital.